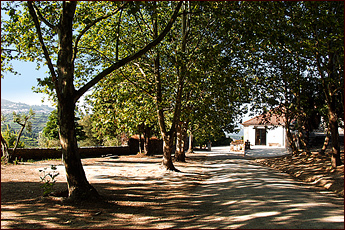 GPS coordinates: 41º 14,827" -7º 34,581"
From Vila Real to Vilarinho de S. Romão, it's just a 22 km drive. 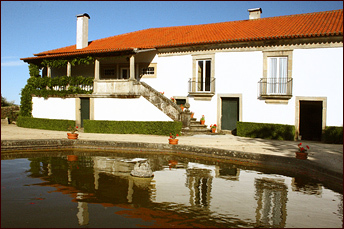 Take the EN 322 when leaving the city and, driving by the Palácio de Mateus, it's 19 km to Sabrosa. 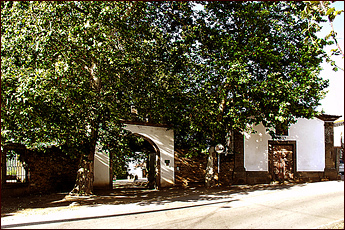 When entering Sabrosa, turn right to the EN 323 on the way to Pinhão - at 3 km distance, is Vilarinho de S. Romão. The manor, which got the same name as the village, stands out on the left with its ancient chapel and imposing gate. A quick and practical way of getting to Vilarinho de S. Romão are the flights of AEROVIP between Lisbon and Vila Real (roundtrip price about 100 ). In Vila Real it is possible (by previous arrangement) to have a rented car waiting for you at the airport, wich is 22 km from Vilarinho de S. Romão. For more information, call 00351 211 560 369 or visit the web page of AEROVIP, the flight operator, at www.aerovip.com.